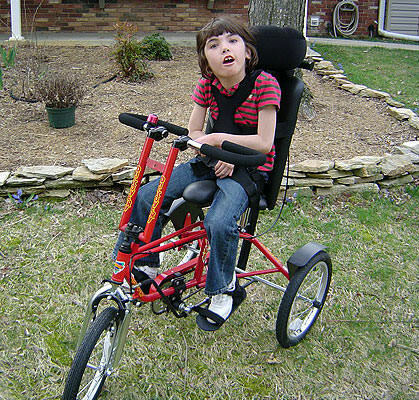 Freedom Concepts Discovery DCP 16 tricycle is the bike that kids want for its awesome design, fun colors, and smooth ride. 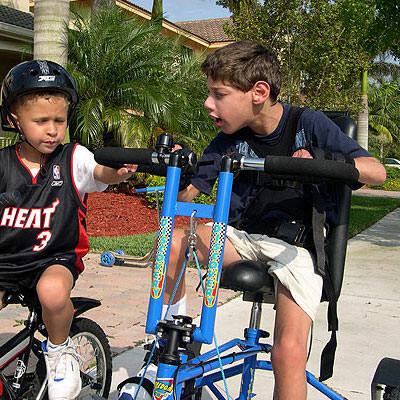 Discovery DCP 16 is small enough for an average 7-year-old, but adaptable to fit most kids in their early teens, making it an ideal choice for children expecting a growth spurt. Riding the DCP 16 is a great opportunity for kids to feel the independence they crave as they enter their teens and leave their childhood behind. 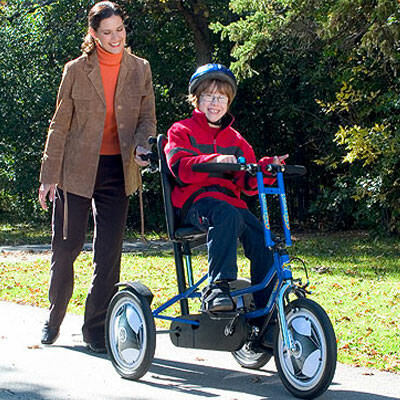 DCP 16 tricycle features discreet assistance handle so the rider can learn to ride and stop with a little help. 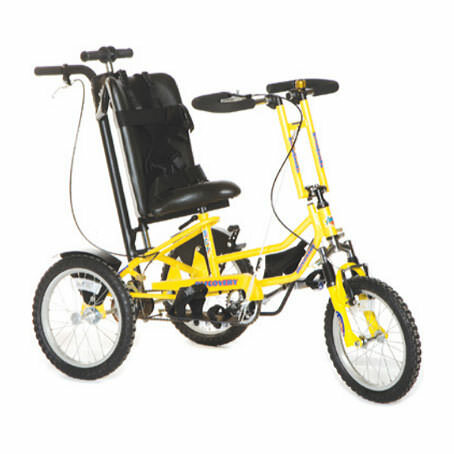 DCP 16 bike has adjustable handlebars which can move out of the way for unobstructed on/off transfer. The crank and sprocket system can adjust in all directions (standard with 4″ crank arm). Rider inseam 19" – 26" 19" – 26" 19" – 31"
Max. load 150 lbs. 150 lbs. 150 lbs. Bike weight 50 lbs. 50 lbs. 50 lbs. 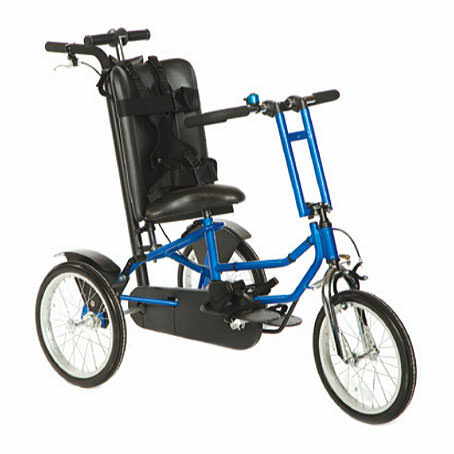 Wheel size 16" 16" 16"
Frame height (without Seat) 26" 26" 26"
Bike width 29" 33" 37"